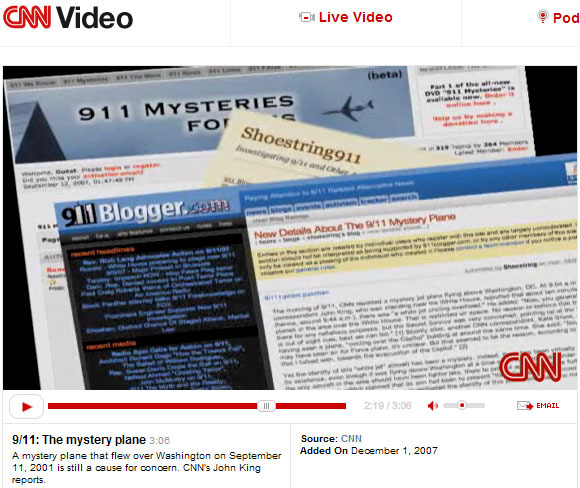 CNN did a rare story about 9/11 mysteries. This one focused on the white plane which was widely seen circling the nation's capital on 9/11/01, yet was not widely reported upon in the news. Why is CNN covering this story? Why now? What is behind this sudden interest in a plane that did not even merit inclusion in the so-called "official report" on the events of 9/11.